The world is waking up to the drastic effects that humans are having on the planet. We are creating more waste than we can handle and plastic is a hot topic. 2018 seems to have been the year where people are suddenly realising that the scientists are correct and we are killing our beautiful blue planet. What have we done? We started our frugal living journey a few years ago when we decided to start growing our own food, we switched from disposables and reusables became part of our daily lives. This last year has seen us focus on reducing the amount of plastic we buy and how much rubbish ends up in landfil. Last week we celebrated our first ever Non-Bin week, where our bin was so empty that we didn’t have to wheel it out for the bin men to collect! But with Christmas just around the corner, it’s time that we focus on the most wasteful time of year. 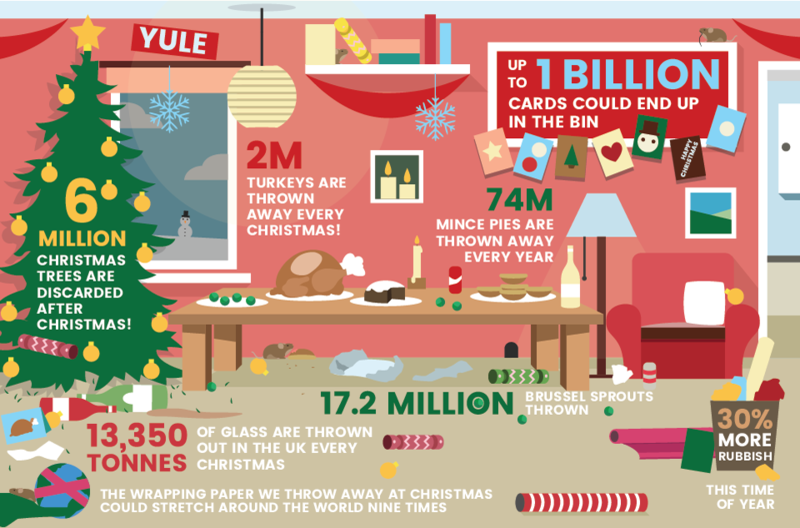 Household waste increases by 30% over the festive period; that’s not including the 6 million Christmas trees, 1 billion Christmas cards and 2 million turkeys! Vile 🙁 So, how could you have a Christmas with less waste? 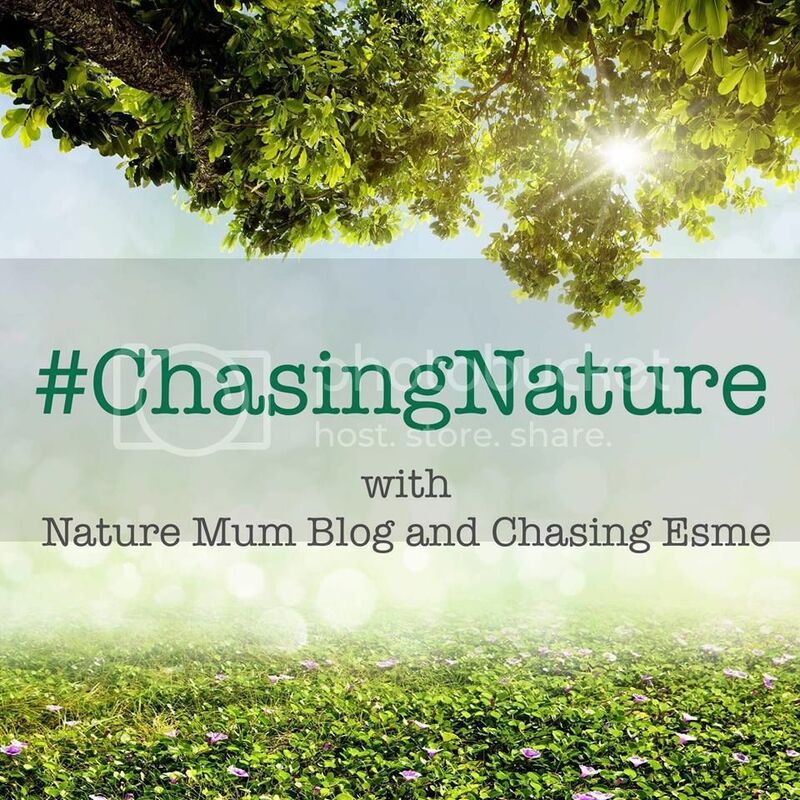 Read my favorite tips below to see how you could massively help this rubbish problem. The easiest way to give waste free this Christmas is to buy pre-loved items. Charity shops and Facebook Market place has so many wonderful like-new items that could be gifted to your family, friends and children. You’ll also be putting money into the pockets of people who may really need at extra cash this Christmas, rather than lining the pockets of huge companies elsewhere. Avoid selling sites such as eBay, where postage of your items is needed. Postage and packaging all creates waste. Especially as most posted items arrive wrapped in plastic. Up to 1 billion Christmas cards end up in the bin each year. If you think of all the packaging that your buy your cards in, the amount of waste created by Christmas cards is astonishing. Many multi-packs of cards are now sold in plastic boxes, this seems to be more common than cardboard boxed cards these days. Why not have a go at making your own cards instead, or creating lovely hand-painted postcards. The kids will love making their own cards and each card will be unique to the recipient. For the cards that you receive, cut out the pretty pictures from the front and save these for making cards next year. They don’t take much room, tucked away with all of your other Christmas decorations in the loft! Remember, any cards that your don’t wish to save for future use should be recycled or placed onto your compost heap. Instead of buying wrapping paper, use old newspapers instead! This gives a fun quirky look and is completely waste free! The newspaper can then be recycled or added to your compost bin. Ditch the cellotape and fancy ribbons, as these will most certainly end up in landfill. Reuse old ribbons, or use some string or twine. This can then be reused for wrapping more presents or for use around the home and garden. If you need glue, try to make your own. When I was a little girl my nan showed me an easy DIY glue recipe which I still use lots to this day. Simply mix 1 part flour with 1 part water. This glue works best for sticking paper (I’ve even used it to repair torn wallpaper). If you buy plain brown paper to wrap your gifts in you can have great fun making your own stamps to decorate the paper. Simply cut a potato to make a stamp (remember the good old days in school when you made potato stamps?) and using poster paints, decorate the paper as you wish. You don’t have to be the next Kirsty Allsop to make beautiful gifts for Christmas. This year I have been working on various crochet and knitted items for family and friends and I had a go at soap making too! Not entirely waste-free as I’m sure you’ll need to pop to a craft shop for supplies (take your own bag and ask for a digital receipt) but it will certainly create far less waste than buying a gift. 1 ball of cotton yarn creates 3 dishcloths and my 1 soap mould made 4 cut bars of soap… so these bought craft items can go far! YouTube is great for learning a new skill, with so many tutorials to choose from. YouTube taught me how to crochet several years ago, now I whip out a scarf or blanket in no time, ready to give to someone at Christmas. If you can paint, why not have a go at painting some personalised rocks. These look great placed around a garden, or tucked into plant pots in the home. Plus… rocks are free (just do some digging) and the kids wont mind sharing a little paint. Shopping local for your presents and festive food supports local companies and reduces the amount of waste you produce. Visiting your local shops makes it easier to buy plastic-free food and most shops will be happy for you to take your fruit, veg, meat and bakery goods home in your own packaging (think canvas bags and Tupperware). The latest European Shopper Insights Survey showed that 55% of people preferred to shop local for a variety of reasons including, supporting local small businesses, better quality goods, for environmental reasons and because the food tastes better. Items that you buy as gifts are more likely to be personal to the recipients and have that extra-special feel to them. It’s so easy to walk around the shops during the Christmas period and get carried away with all the beautiful food available. But, more food is wasted over Christmas than any other time of year. Only buy what you know you need. The key to getting this right is make a meal plan. I recommend doing this all year round, but if you’re not much of a meal planner, Christmas is a time when you certainly need to give it a go. If you like to prepare a special meal on Christmas Eve, Christmas Day and Boxing Day then plan each meal carefully. You’re less likely to buy too much and reduce the amount of food that you throw into the compost bin. Remember to include in your plan how much of each thing you need (Eg. 10 parsnips. Only buy 10 loose parsnips rather than several plastic bags). Buying from your local farm shop or vegetable stall on the market makes it easier to buy the exact amount that you need, and take them home in a non-plastic bag too. If you do have any leftovers, make sure you freeze them for future use. Christmas leftovers make a great winter-warming stew! Of course, you could buy a fake tree to use each year. You would have to use your tree for at least 11 years for the offset of oil that is used to produce the tree (according to the Carbon Trust). As fake trees are mostly made of plastic, it really is no-longer the top choice frugal Christmas tree. This year we shall be using our fake tree again (and we shall for the next 8 years at least! ), but after these years have passed we shall be bringing in one of our small potted Christmas trees that our children were gifted with from Santa. Santa gave the kids real Christmas trees when we visited his grotto at Wyevale Garden Centre. Have a go at making your own decorations. This is great fun for the whole family and can be really simple to do. Go walking through the woods and collect pine cones. Bring them home and hang them around the house like bunting. Your children will love painting them too. Who can resist the classic look of paperchains? We love to reusue old coloured envelopes from received Christmas cards for making paperchains. You could use any pretty coloured paper, or why not go for a funky modern look and make your chains from magazine cuttings! Give a gift with a waste-free future. I love my Amazon Kindle, so this would be a gift that I would seriously consider giving to a book-worm who also has a passion for waste-free living. Whilst buying the Kindle would create some waste (packaging etc) it means that all future reads would be waste-free, with no need to take trips to the book store for buying books, magazines and comics. Amazon also do printable book vouchers. Simply buy online and print at home. These vouchers can be used to buy physical books or even better, ebooks for their new Kindle! Packs of seeds, or seeds you have saved from your own plants also make lovely gifts. This year I have been growing plants from seed to gift too. Plants can last for years with care, and make a beautiful gift, even for those without the greenest of fingers! The man in your life may love a beautiful safety razor. My husband is a huge fan of Rockwell Razors. It gives a great shave, is waste-free and unlike disposable razors, contains no plastic! Keep your eyes peeled on my blog for a full review of the Rockwell Razors set. What actions will you be taking to create less waste? Let me know in the comments. What Financial Help Is Available If You Become Seriously Ill?